New Delhi is full of interesting sites that can’t be missed, and an even more exciting nightlife. What’s missing on this trip is a place of refuge for the two of you to retire after a long day out. If you are looking for safe, clean and beautiful hotels with your partner, refer to this article and you will definitely find the best hotels for couples in New Delhi, India. This hotel has an outdoor swimming pool, a spa and wellness center and a fitness center. 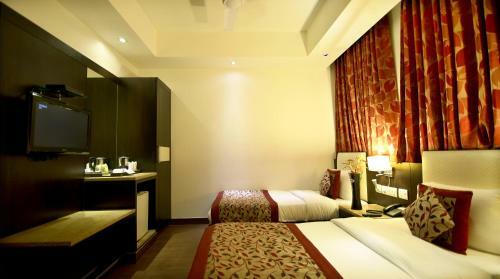 Piccadily Hotel New Delhi is a 5-star property that offers six dining options. There are shops in the hotel so if you love shopping, you will definitely enjoy your stay here. A business center, and meeting and banquet space are available in this hotel too. If you want sightseeing and currency exchange services, you can approach the tour desk. 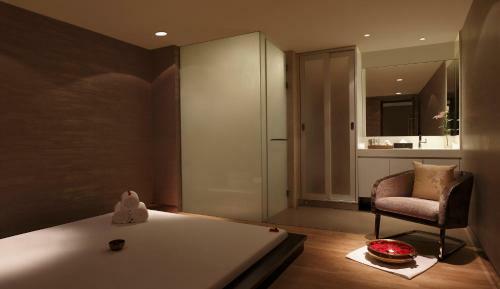 You can enjoy sweeping pool or city views from the rooms at Piccadily Hotel New Delhi. The air-conditioned rooms are equipped with a flat-screen satellite TV, ironing facilities and a seating area. The attached bathrooms are fitted with a shower and free toiletries. This hotel offers a spa and wellness center, a sauna and a fitness center. 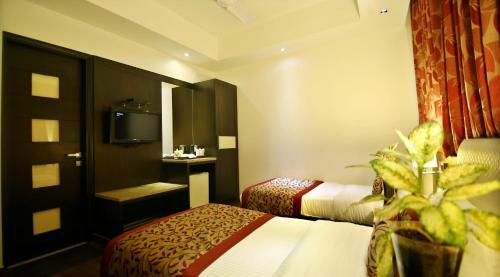 Its rooms are air conditioned and will provide you with a minibar and a seating area. It features a shower and private bathroom that also comes with a hairdryer and bathrobes. You can enjoy city and garden views from the room. 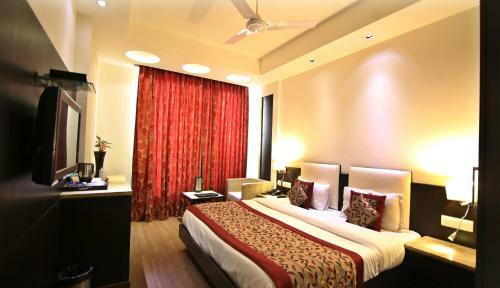 At FabHotel Anand Lok you will find a 24-hour front desk, a garden and a terrace. The other facilities offered at the property include a shared lounge, a games room and a ticket service desk. The property offers free parking. The in-house restaurant serves a selection of Indian and International delights. The Metropolitan Hotel & Spa in New Delhi has an outdoor pool and 3 dining options. 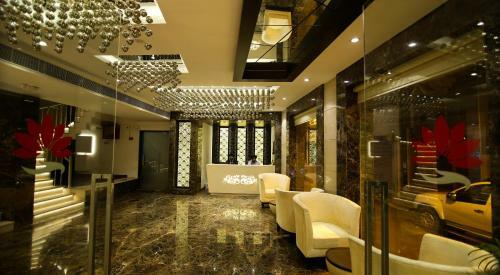 It is situated in New Delhi’s city center and also offers a fitness center and spa. 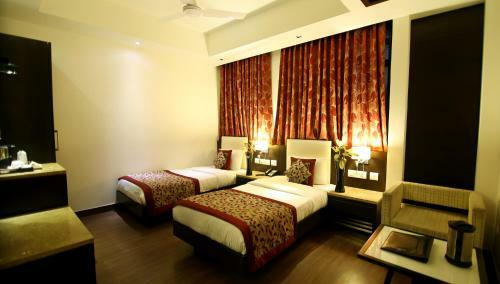 It features Indian motif, stylish air-conditioned rooms. They come equipped with an iron and a flat-screen TV with cable channels and they also come with a minibar. Private bathrooms have a bath and shower facilities with free toiletries from NeoVeda and a hairdryer. Jaypee Siddharth features a spa and health club, and steam bath facilities. It also provides an outdoor pool and fitness center. Modern rooms feature wood furnishings and come equipped with a flat-screen TV offering cable channels. They also provide an iron and tea and coffee making facilities. Other amenities include a minibar and hairdryer. Guests can make currency exchange and sightseeing arrangements at the tour desk. The Radisson Blu Hotel features a 24-hour business center, an outdoor swimming pool, and 4 dining options. It has contemporary décor, air-conditioned rooms that include a flat-screen TV, sitting area and a minibar. Private bathrooms have a shower and free toiletries. Room service is also provided. The hotel features a wide range of facilities which include a fitness center, a spa, meeting or banquet facilities and a hair or beauty salon. Car rentals, tours and ticket services are also available. The Ashok offers a host of facilities such as an outdoor swimming pool, spa and wellness centre and a fitness centre. Free WiFi access is available. Each room here will provide you with a TV, air conditioning and a minibar. There is also an electric kettle. Featuring a shower, private bathrooms also come with free toiletries and slippers. Extras include a seating area and cable channels. At The Ashok a shared lounge, a ticket service and a tour desk are available. The property offers free parking, currency exchange and locker facilities as well. Dining options include Oudh, where guests can relish in Indian delights, Frontier, that serves north-western Indian cuisines, South Indian delights can be enjoyed at Sagar Ratna, Jain food is served at Shraman, Nom-Nom serves Pan-asian delicacies and Mediterranean delights are served at Zerruco. Room service can be requested for in-room dining comforts. Radisson Blu welcomes guests with its terrace pool and modern rooms. It offers 3 dining options, a nightclub, along with free WiFi and complimentary private parking. All rooms feature an LCD TV with satellite channels and DVD player, coffee/tea making facilities and a minibar. 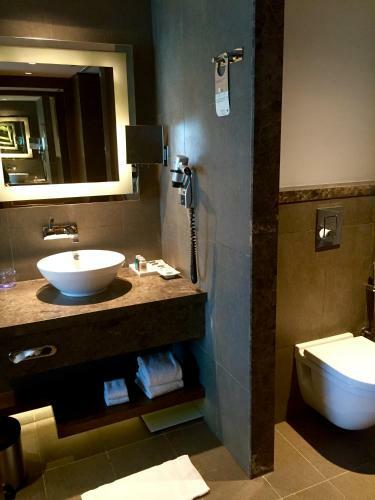 The private bathroom comes with a bath or shower, hairdryer and free toiletries. A turndown service is available. Guests can dine at Spring, the all-day dining restaurant, or Atrium, which offers a variety of cakes and coffee. Rice, the Pan-Asian restaurant offers Asian cuisine, and features interactive kitchens. Dvar - Gateway to Indian cuisine serves traditional Indian delights. Zeppelin - Lounge bar serves a selection of beverages. The hotel offers an outdoor pool and 24-hour room service. Sky Lounge Bar & Grill is New Delhi’s highest lounge with the largest bar. Air-conditioned rooms feature classic furnishings and flat-screen cable TVs. For convenience, a safe, fridge and tea/coffee making amenities are provided. Private bathrooms have a bathtub and hairdryer. Guests can exercise at the Energy health club, which features a gym and relaxing massage services. Currency exchange and laundry services are available 24 hours. 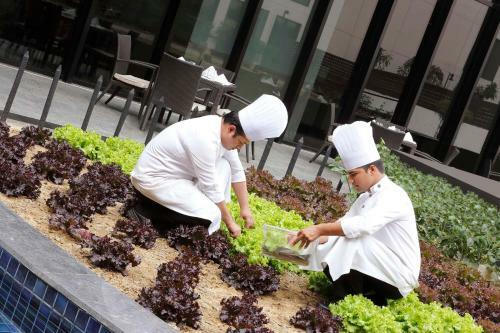 The 24-hour Lutyen Restaurant serves a buffet breakfast and international dishes, while Jasmine restaurant offers Chinese and vegetarian options. Other dining options include afternoon tea at Tea Lounge and cocktails at Onyx Bar. The 4-star Park Plaza Shahdara in East Delhi is an elegant property with an outdoor pool, fitness centre and pampering spa treatments. Wi-Fi is available throughout the whole hotel. It is within 10 km (6 mi) from New Delhi Railway Station, Red Fort, Shastri Park and Swaminarayan Akshardham Temple. Featuring modern decor, all the air-conditioned guestrooms come with a flat-screen TV, minibar and personal safe. Guests can soak in the hot spring baths, visit the casino, or rent a car to explore Delhi. The hotel also provides meeting rooms and laundry services. Featuring an outdoor pool and gym, Fraser Suites New Delhi is in Mayur Vihar, not far from Akshardham Temple. Units with kitchen facilities feature free Wi-Fi, iPod docks and buffet breakfasts. Modern accommodations at Fraser Suites include a balcony and plenty of natural light. Each has a kitchenette with a microwave oven and tea and coffee-making facilities. A washing machine and ironing facilities are provided too. Located conveniently with just 100m (0.06 miles) away from the New Delhi Railway Station, the hotel is rated to be one of the properties with the best location and best value. In your room, you will be provided with amenities such as TV, air-conditioning, and refrigerator, on top of your bed and a comfortable bathroom. If you need a lift from the airport, the necessary arrangement can be made by the hotel too. The in-house restaurant also serves multi-cuisine delights that are great to satisfy your picky tastebuds. The hotel also offers parking spots if you are driving your way there. Being one of the top picks in New Delhi, Novotel New Delhi Aerocity will definitely not disappoint. 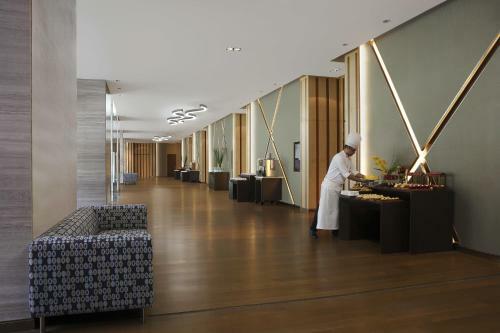 Located a mere 7-minute drive from Indira Gandhi International Airport, Novotel New Delhi Aerocity is also prominent for its luxurious and abundant dining options, offering up to six dining choices for its guests. Your room will be air-conditioned, equipped with a flat-screen TV and minibar alongside a bathroom that comes with a shower. It is also a famous accommodation for couples, generally rated as 8.3 for a two-person stay. Why book one of these hotels? Well, because the hotels I have mentioned above are the best hotels in New Delhi and in these hotels, you will feel very comfortable and at home!